Hello, my name is James and I am 5 years old. My previous owner had kids and suddenly there was no place for me. The shelter staff called LSWR because I was a very sweet and loving boy. What a difference a trip to the spa can make. Am I handsome or what? 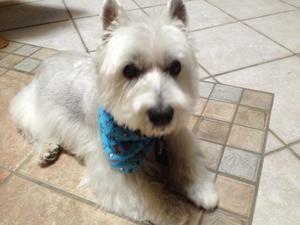 I am a 14 pound Westie mix. I am current on all my shots and will be neutered and microchipped very soon. 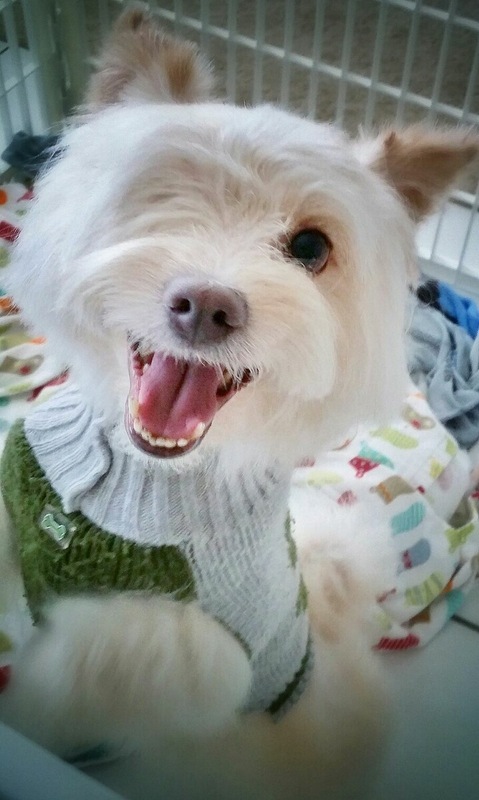 I am a very happy spunky boy and I like to cuddle up next to you. Even though I only have one eye, I am not a special needs boy at all. I am just like any other dog; I walk great on a leash, like toys, and like to run and play. I’ve adapted very well to only one eye. In fact, I’d say I am a GREAT dog. I would love my very own family who will love me forever. If you have room in your home and heart for a handsome and loving boy like me, fill out our online application. I just know that I will find my special family. 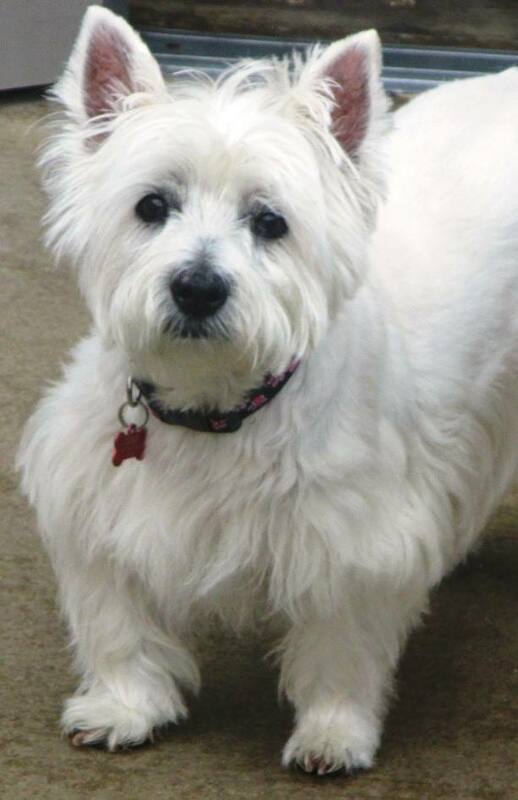 My name is Annie and I am a beautiful 11 year old, spayed Westie girl. It was with a broken heart that my family left me at a local shelter. Due to their health, circumstances forced them to surrender me. I was very sad when they petted me and said good bye. But who would have thought that being in a shelter would be the right place? It wasnât long before an LSWR volunteer came for me and now my new life begins.I am 11 years old, spoiled and love car rides. I love riding in the back seat never making a sound. I love people and bark and wag my tail anytime Iâm outside and meet anyone. Annieâs motto is, if you meet me, you must pet me. I like to sleep on the bed with you at night and Iâm a late sleeper. I stay very close to my humans and stay right by your feet. I am a gentle and quiet soul and I love the company of everyone and everything. 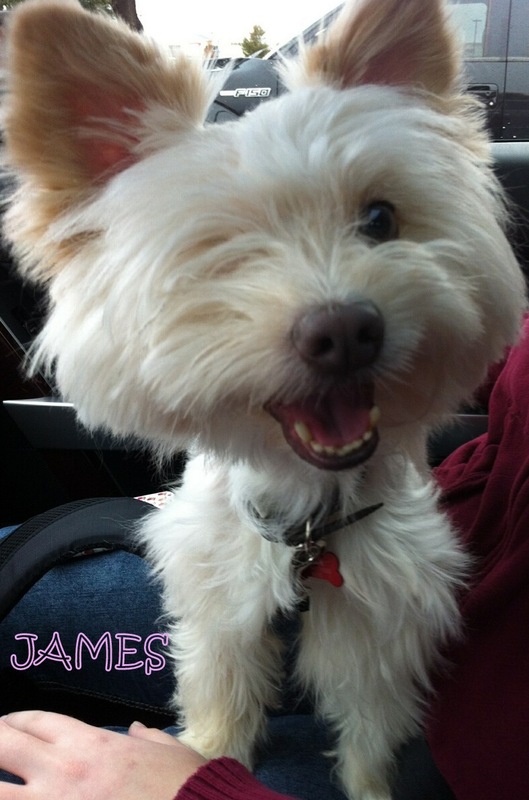 I have a great Westie foster brother and we get to go to Camp Bow Wow. I went there today, walked right and quickly went flying around playing with all my new friends. I think Iâm going to really like this fantastic foster home and camp.I will be having my teeth cleaned very soon. So submit an applicatio. I am waiting for my best home ever. It’s me Rocky. I’m still in my foster home and doing very well. I can’t wait to find a furever home so here a few more cute pictures.